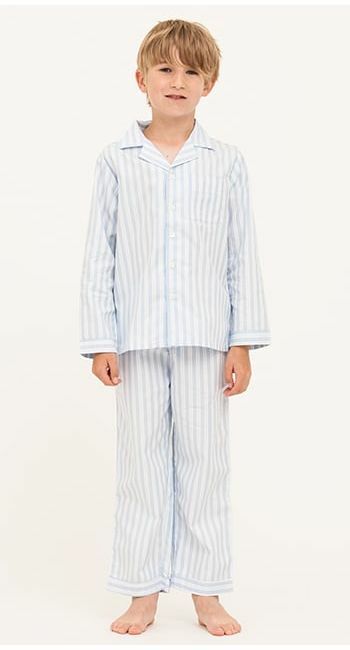 Boys lightweight cotton pyjamas in a soft blue check. Ideal for summer. 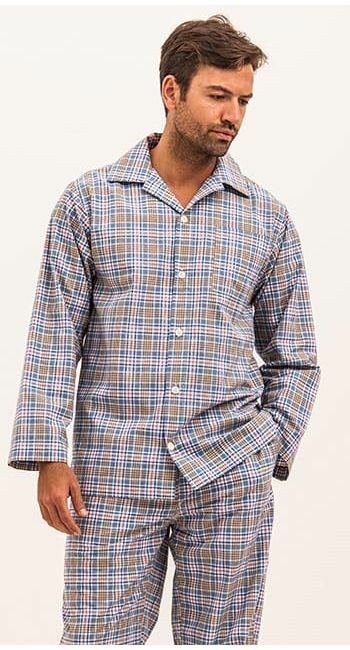 Matching pyjamas available in the men's collection for those looking for matching father and son pyjamas.